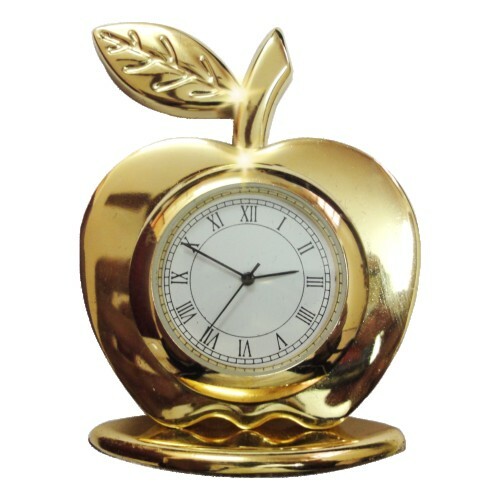 A table clock apple shaped, gold plated. Fashionably designed. Place it on your office table, study ..
A table clock apple shaped, gold plated. Fashionably designed. Place it on your office table, study table, or on your car dashboard.Can be used in schools, hotels, houses….Works with a button cell. Is a master piece. Use it or gift it, your status will be enhanced, your style statement will be reflected.